In stock -This product will ship today if ordered within the next 13 hours and 19 minutes. 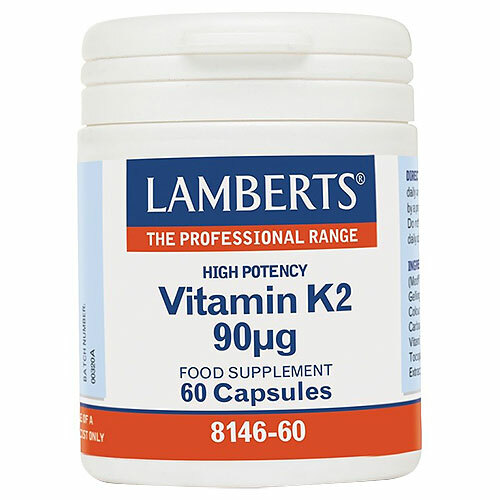 Lamberts Vitamin K2 is a high quality supplement that provides a full 90mcg of vitamin K2 in the form of Menaquinone (MK-7) and is free from cis-isomers. Capsule Shell (Modified Corn Starch, Glycerol, Gelling Agent: Carrageenan, Colour: Iron Oxide, Sodium Carbonate), Sunflower Seed Oil, Vitamin K2 (Antioxidants: alpha Tocopherol Acetate & Rosemary Extract, Vitamin K2 as Menaquinone-7). Take 1-2 capsules daily, or as directed by a practitioner or pharmacist. If you are taking anti-coagulants (blood thinners), do not take 2 capsules daily, except on the advice of a doctor. 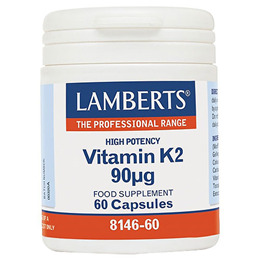 Below are reviews of LAMBERTS Vitamin K2 - 60 x 90mcg Capsules by bodykind customers. If you have tried this product we'd love to hear what you think so please leave a review.